You need to click on view original to see the poem. I have embarked on sequences of new posts which examine a number of ideas from books I have recently read. These ideas relate to where our society is heading and what we as individuals might be able to do about that. I decided that I also needed to republish other posts from the past that related in some way to that basic theme. This will include poems such as the one below. 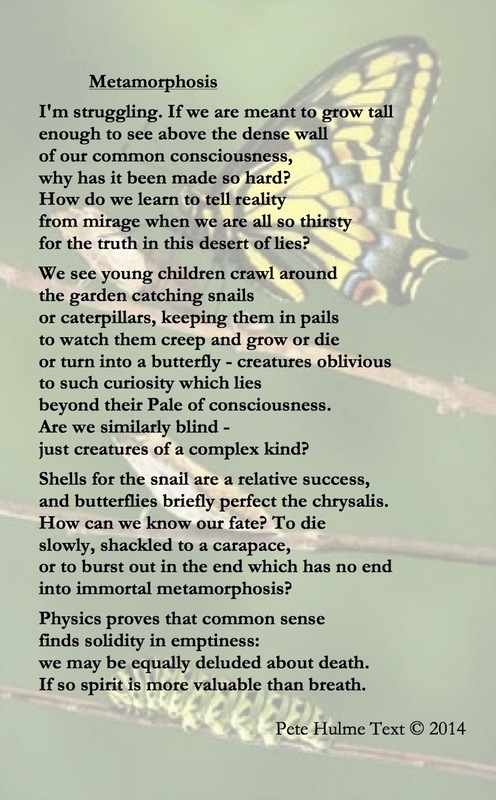 Categories: metamorphis, poem, Poetry | Tags: metamorphis, poem, poetry | Permalink.